Any chance to get the French Ligue 1 2017/18 3D Kits? First, thank you for your great work! Can someone help me for the above? Can someone create the PSG 2017/2018 kit (third black camouflage)? 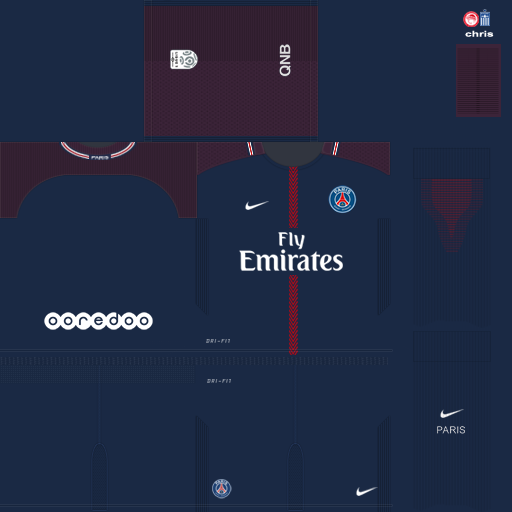 Can someone create the PSG 2017/2018 kit (third)? Can someone create the PSG 2017/2018 kits (away+home)? Any chance for the PSG away kit (yellow one)? It's possible to create the 3Dkits for Paris SG (PSG) - 17/18 - Home and Away? What shall i do next with your creation in order that it appear during my games? Anyone asked previously the new 3D 2014/15 PARIS ST GERMAIN (France Ligue1) Home, Away and 3rd Kits? Otherwise what shall i send in order that someone KINDLY help me ?